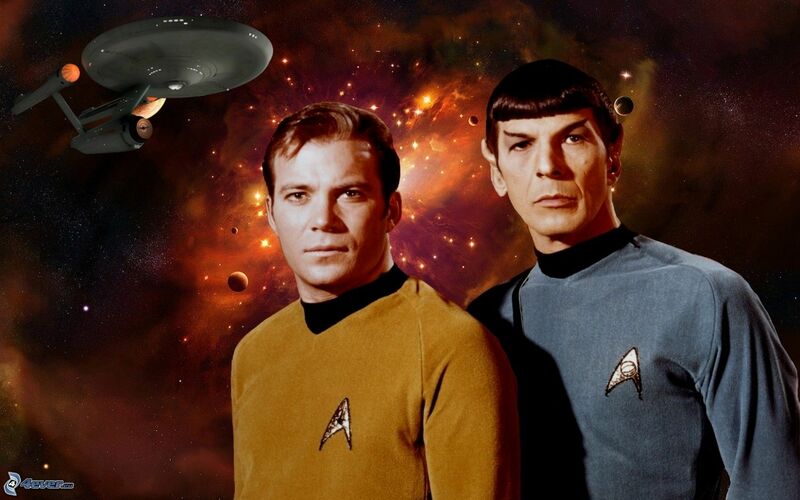 Kirk/Spock (originally called “slash” for the backslash between the names to signify their pairing as a romantic couple) has been a part of Star Trek (1966) fandom from its earliest days. Before the Internet, fan writers and artists shared original typed work and drawings, which made their way to copied and stapled or plastic spiral-bound fanzines. With VCRs came fan videos, combining clips to amass “proof” that Kirk and Spock were lovers. And the continued popularity of this pairing is easily seen in the many fan-made videos on YouTube, featuring clips suggestively juxtaposed, accompanied by a romantic soundtrack, or with intertitle commentary. If there is no doubt that the appeal of the pairing from the original 1960s television program (and subsequent films) remains strong, the question of why remains equally potent. What made Kirk/Spock the original gay couple of (mostly female, mostly straight) fans’ fertile imaginations and artistic productions? Of course, this list makes plain how easily we can argue the opposite. Kirk is feminine because he is more highly emotional; he depends on Spock’s support for his success. Spock is masculine in that he is the more rational of the two, and he has greater intellect. Depending on how we arrange our questioning, we find either balance or a challenge to traditional gender binaries.